This is the first thing you see as you enter ‘Brain: The Inside Story’ exhibition at the Ontario Science Centre. It is a metaphor— a reminder that your brain is constantly at work, sending signals through wiry fibres called axons that connect the 86 billion neurons and gives rise to everything you think, feel, and do. 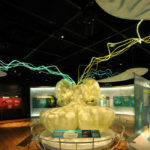 It is truly remarkable that the brain does so much, and this exhibition dives deep into how the brain senses, emotes, thinks, ages, and how emerging or existing technologies will change our brains in the 21st century. But what happens if the brain doesn’t work like it should? As the Knowledge Sponsor for the Ontario Science Centre’s ‘Brain: The Inside Story’ exhibition, OBI had an opportunity to bring awareness to brain disorders, brain research, and brain health. The goal was to shine a light on the outstanding work of the Ontario brain community: the researchers, clinicians, neurotechnology companies, patient groups and not-for-profits that fund, promote brain research and brain health, or provide services for people and caregivers of those living with brain disorders. This was OBI’s chance to tell ‘Brain: the Ontario story’. Through a five-month partnership running from November 2014 to March 2015, OBI and the Ontario Science Centre sought to raise the profile of the Ontario neuroscience community by creating new opportunities for ideas and knowledge to be shared and by extending its reach to a broader public audience. Working closely with the Ontario Science Centre, a suite of programs was developed to run the length of the partnership. These included weekend exhibitions, educational events, and Facebook chats. 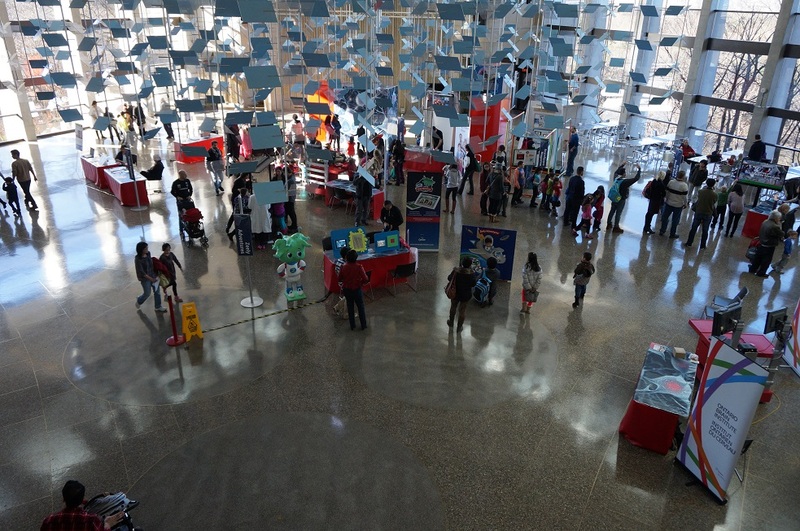 Three weekend-long exhibitions were held at the Ontario Science Centre. Each event organized around a different theme related to how neuroscience research can, or will, eventually impact the public. ‘Brain Games’, the first event took place over the December 6-7th weekend and featured interactive technology where body and brain meet colcothrough gameplay. Visitors were invited to experience the latest developments taking place in Ontario and learn how neuroscience is revolutionizing the gaming experience for entertainment, health, education, and wellness. Visitors line up to play virtual reality games created to help children with disabilities become more active. Botley’s Boodle Bash was developed by PEARL Lab researcher, Dr. Elaine Biddiss from Bloorview Research Institute at Holland-Bloorview Kids Rehabilitation Hospital. Pedaling to victory on the Exerbike, a game created to help children with cerebral palsy become more physically active and socially engaged with their peers. The exergaming platform was developed through collaboration between Dr. Darcy Fehlings from the Bloorview Research Institute at Holland-Bloorview Kids Rehabilitation Hospital and Dr. Nicholas Graham from the EQUIS Lab at Queen’s University. NeuroDevNet produced a video that shows how exergaming works. Over the weekend of January 17-18th, ‘Brain Fest’ invited Ontario Science Centre visitors to connect with various groups from the Ontario neuroscience community including researchers and clinicians, patient advocates and support groups, and other not-for-profit research organizations funding and promoting neuroscience and brain health. 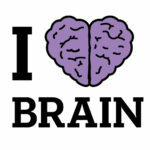 Educational posters answering the question: what are brain disorders? Information focused on the five OBI-funded research programs in epilepsy, cerebral palsy, neurodevelopmental disorders, depression, and neurodegenerative disease. Experiencing what it can be like to live with a brain disorder with the Neurological Health Charities of Canada. Learning about epilepsy and epilepsy support services with Epilepsy Ontario and Epilepsy Durham. Dr. Jason Lerch from the Hospital for Sick Children discusses current research into neurodevelopmental disorders like autism spectrum disorders and ADHD. ‘Tech Talks’ was held over February 7-8th and featured various technologies that assist in brain research and daily living and invited visitors to meet Ontario entrepreneurs and learn how they took their neurotechnology out of the lab and into the market. Stephanie Chow from Bloorview Research Institute at Holland-Bloorview Kids Rehabilitation Hospital demonstrates an interactive tool created to help children measure and control their anxiety levels. Neuroscience can be dense and complicated. But that does not mean that neuroscience conversations need to be. With the Ontario Science Centre, OBI organized a series of public discussions called ‘Café Scientifique’ which build on the simple idea that, in the right format, a panel of experts can dive deep into a complicated neuroscience topic and have the audience follow, engage, and participate in the discussion. The theme of these talks was ‘Your Brain On…’ Speakers and venues were chosen for the three talks on music, food, and exercise to create an interesting and engaging atmosphere for discussion. Dr. Laura Middleton from University of Waterloo explains how exercise can help protect your brain against neurodegenerative disease. Beyond engagement with the local community, this partnership also created an opportunity to reach communities which may not otherwise have had the opportunity to see the exhibit. Together, OBI and Ontario Science Centre organized a field trip for over 30 First Nation high school students to visit the Ontario Science Centre and IBM Canada and expose the students to educational and occupational opportunities which may not be apparent within their communities. The students’ teachers had a session with Let’s Talk Science to learn about new ways to bring science into their classrooms. Student and teacher field trip participants pose for a photo outside Brain: the inside story exhibit with The Honourable David Zimmer, Minister of Aboriginal Affairs, Patrick Madahbee, Grand ‎Council Grand Chief of the Union of Ontario Indians, Dr. Maurice Bitran, Ontario Science Centre CEO, and Dr. Don Stuss, Ontario Brain Institute President and Scientific Director. A benefit of partnership is that it allows an organization to extend its reach. Through a series of brain disorder-focused Facebook chats, OBI was able to connect researchers, clinicians, and patient advocates to a large audience of interested or affected individuals. Three chats were held on the topics of concussion, dementia, and epilepsy. Click here to see the archive of Facebook chats. For OBI, the greatest outcome was having the opportunity to tell its story and highlight the depth and breadth of the work of the Ontario brain and neuroscience community. OBI would like to thank the Ontario Science Centre for this opportunity, and also thank their excellent staff for their openness and collaboration over the last five months as well as all the researchers, companies and advocacy groups that volunteered their time in coming to the Ontario Science Centre and making these events a success.